I have searched a few forums and I keep coming back to this one. So this is going to be home for Java, I really like the site. My name is Brandon and I have a little programming knowledge in Visual Basic. I like learning new things and I decided to pick up Java about a month ago. I bought and have been learning from a book called Head First Java. It puts me to sleep (I learn better being hands on and trial and error), but I try to retain as much as I can, and have been supplementing the reading with a Java tutorial series by Derek Banas on YouTube. I am just now getting ready to learn the GUI part of it but before I get into all of that, I wanted to write a simple card game. I finally completed it after 3 versions (improving on each) but I sat back and looked at it and I am sure it is not OOP. So my first real semi-program in Java, I was hoping that maybe someone would take the code I have written and give me a hard lesson in Java. It is less than 200 lines of code and only deals with one deck and 2 players. I am learning this on my own as a hobby because I have some ideas I want to implement once I feel I can tackle the job. I was reading over some of the other beginner posts and I hope I can help on some of those posts. In the meantime, here is the code from my War card game. If anyone wants to give out pointers or show me how to make this OOP that would be great. I kind of feel there should be these classes: Main, Player, Hand and Deck. I am not sure how to make them fit together though. Thanks in advance and I can't wait to check back tomorrow. edit: oh, I am not asking for anyone to re-do the program, but if someone felt they wanted to in order to illustrate better what OOP was ... well . I really just need someone that is better than me to give me ideas and thoughts on how to better my own understanding and any bad habits that might be visible from the code below. I rather break those bad habits now than later. 'suits' and 'cards' should be in all upper-case because it's a static final, ie a constant. Too many static members, they should be non-static fields. Only use under-scores (_) in constant names. Use camel-case for everything else. Eg change Card_Pool to cardPool. Variable and method names should start with a lower-case. Eg PlayerTwo, and Start_Game. Methods that check for the presence of something and returns a boolean usually begin with 'is', eg 'isWar' instead of 'Check_For_War'. Used Random class instead of Math.random. Line 161, variable name of 'i' is usually reserved for integers. Perhaps 's' would be better. Thanks for the notes (wow, quicker than I expected). I haven't gotten to List's yet, but now that I see it for the 'For' loop, i should use 's' instead for string or 'c' for char. thanks. I just read about the Final and all-caps today, didn't change it but I should have, thanks for pointing that out. Will learn about Random soon I hope and will use it from hence forth and much appreciated the comments on variable and method names, I drather use the convention than my own personal tastes. The boolean thing = 100% sound reasoning. Will learn about List and Random tomorrow and try to update code where needed. THANK YOU this was educational and will post back tomorrow. Constants should be in all caps. 'final' is not necessarily a constant. 'static final' is always a constant. Welcome to the ranch, Brandon! 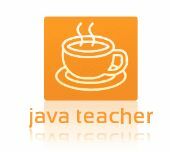 You might be interested in the online Java Programming course from Duke University, which starts this week on Coursera. There is a small fee for the course, but I think you can opt to audit the course for free if you're happy to do without a course certificate. I've done several free courses via Coursera and I've found most of them to be pretty good. Alternatively, there is another free online course in Java from Udacity which you can study at your own pace. The course team includes Cay Horstman who has written several excellent books on Java. I really like the "Head First" books, but it can be helpful to try different learning materials to see what works best for you. Some of these online courses are really good, well-structured, clearly presented, with a good mix of materials and practical exercises. No more Blub for me, thank you, Vicar. Anyone who uses code tags on their very fist post deserves a cow!!! BrandonA Brown wrote: I am just now getting ready to learn the GUI part of it but before I get into all of that, I wanted to write a simple card game. Well that's a really good thing to do right there. Java GUIs - in fact, GUIs in general - are fiddly, verbose and distracting; so anything you can do to delay writing them (IMO) is good. Getting response from a user. It cannot play a game for you. For that, you need a class that knows the rules and logic of the game. And you should try as hard as you possibly can to keep the two things separate. And on that subject, I have one basic criticism of your Deck class: It does things that I don't associate with a deck of cards; specifically: Start_Game() and (arguably) Deal_PlayerCards(). And that's because you're already thinking about what you're going to DO with it. It may well work, but it'll be a "one trick pony"; and if you decide to write a program to play another game like Poker, or Canasta (or Snap), you'll have to rewrite your Deck class from scratch - even though you'll probably find that you copy a lot of code between them because they all use the same type of deck (4 suits, 52 (or 54) cards, A, K, Q, J, 10... etc). So you need to separate what a deck IS from the game it's used in - and to do that you need to think about what a Deck actually is. You'll certainly want to be able to shuffle it, but dealing is likely to depend entirely on the game it's used in. Now I don't want to inundate you with design here, or re-write your class; but do you see how you might want to break up some of the stuff that's currently in your Deck and put it in your War class? Because that's the class that knows how to USE the Deck. Without the game, a Deck is just a pile of cards. Carey -> I still need to learn about Lists. I tried just putting it in there and it broke. Will def be taking a look into it and also thanks for the Collections.shuffle() method. Nice to have that built in. I am not sure what you mean by to many static members. I think i add that keyword in there because that is all I know so far. Static makes it readable by the whole class? or I probably read that wrong. Chris -> I enrolled to audit a class, thanks for the link. Will let you know how it goes. Again, just wanted to say thanks and below is the modded code with your suggestions. I will def try to keep up with naming conventions. VB had me under scoring and doing other things. Old habit. You're welcome Brandon. Nice job of cleanup. If you do come back to refactor this at some point bear in mind Winston's comments about OO design. 'List' is an interface. An interface defines what methods a Class that implements it should support. It does not do the implementing itself. An 'ArrayList' implements the 'List' interface. The 'ArrayList' provides the actual working code and implements the methods specified by the interface. you limit how var can be used - it can only be used as an ArrayList. If you decide later that a LinkedList would have been a better implementation you will have to go back through your entire project and replace the affected ArrayList's with LinkedLists's. you are in a much more flexible position and can easily swap in a LinkedList in place of your ArrayList without impacting your code. Eg. Project code will not have to change its use of var. Note that you will also need to change you method declarations. E.g. does not work. This is because you can't instantiate an interface. Just some feedback for shorter/tidier code. The if expression here is irrelevant. "While" effectively has an implicit if. You could lose the if statement entirely, and it will work exactly the same. Calling "remove" on a list returns you the item you removed. And to me at least it makes more sense: remove a card from a player's hand, and add it to the pool. cardPool.play(playerOne.firstCardFromHand()) or something along those lines anyway. Carey Brown wrote: You're welcome Brandon. Nice job of cleanup. If you do come back to refactor this at some point bear in mind Winston's comments about OO design. I want to get it back to my first instinct of having at least 4 classes and make them work together. So when I have time, I hope to make this more of an OOP. Many thanks to everyone and tomorrow, I am going to learn a bit more about Lists so I can implement it and see what the benefits and other are going to be. Don't put your classes in the default package. It's a good habit to always put your classes in a named package. You'll avoid a bunch of problems down the road. For instance, you can use abbreviations for the name of the class you're enrolled in and the name of the assignment. BrandonA Brown wrote: I am not sure what you mean by to many static members. I think i add that keyword in there because that is all I know so far. Static makes it readable by the whole class? or I probably read that wrong. A static member is a member that's part of the class, not of an object of that class. That means that you don't need an instance of Deck to access cardPool. cardPool is essentially something that floats free in empty space. While that may make sense at first, it goes against the spirit of OOP. Always think to yourself, what is this conceptually a part of? In this case, a pool of cards is part of a game, and so are the players. The pool of cards and the players make no sense outside of the context of a game, so make them non-static fields of Game. Keep this guideline in mind: The static modifier should only be used for nested classes, pure functions and constants. Another thing, fields should almost always be private. If you need a field to be static or non-private, you probably need to redesign your classes. I agree with fred, and another cow for keeping us updated on your progress. Winston -> Yeppers, I don't like the GUI side of programming. I took several classes in Visual Studio and it took away from the coding big time. I've come to enjoy GUI coding myself, but only because I've taken the time to really understand how to code them, instead of using a visual designer. Whenever you feel ready to move on to the GUI part, I strongly recommend you code them by hand, and only start using visual designers when you're confident with the type of code they'll generate for you. It may seem onerous at first, but you'll be happy you did afterwards. Like Winston, I suggest you make a Card class that represents a playing card. I further suggest you add enums Card.Rank and Card.Suit. Stephan van Hulst wrote: Like Winston, I suggest you make a Card class that represents a playing card. I further suggest you add enums Card.Rank and Card.Suit. Again, I don't want to blind Brandon with design here, but I'd say that the enums belong in Deck, because it's the deck (or type of deck) that defines what suits and ranks are used. They're certainly attributes of a Card though. You also have two jokers, so what's the "suit" of a joker...or is "joker" itself a suit? And the same question applies to rank. In order to keep to the rule that suit + rank uniquely identifies a card you can't just make both "joker". My solution is to add a "jokers" suit, and two extra ranks: "red" and "black"; but you could just as easily swap them around. The game determines whether they're actually used or not. And on that point, it's worth remembering that games use different sets of cards. Many use the 52 non-joker cards, but some, like Sechsundsechzig (66), use a subset (in its case, A through 9, and they have a different order from normal); Canasta uses two decks of 54, and Blackjack can use anything from 1 to 8 52-card decks. So it might be an idea to add a 'Shoe' or CardSource class. In some games - eg, Blackjack and Texas Hold 'em - there is also significance in whether a card is visible or "hidden" (either face-down or in a player's hand). So, Brandon: quite a lot to think about. I doubt you have to worry about all the issues raised by us, but I'd certainly consider Deck, Card and possibly Shoe, along with the Suit and Rank enums suggested by Stephan. My questions would be: What does 'Packaging' have to do with anything? I assume it is so I can re-use code. I took a snippet of what I think it means. I didn't start a GoFish.java project, just for illustration and attached. I am not happy with the method which parses the cards to numbers. That is te sort of thing you could do more easily if the faces were in an enumerated type. You can read about enumerated types in the Java® Language Specification (=JLS). The JLS can be difficult to read, but the examples will be easier to understand. Getting your head around basic OO design is definitely one of the trickiest parts of learning Java. Personally I would not worry too much about packages at this point because it just adds another layer of learning that you could probably do without at this point - keep everything in your War package by all means but focus on the Object stuff for now. Easy enough, yes? Do something similar for Suit. I would focus on building your game one step at a time instead of trying to build the whole thing in one go. Most developers build applications piece by piece and test each class before moving on to the next. Thats one of the great benefits of OO in fact. As you have realised your most fundamental object/class is a Card. So if I were doing this exercise I would start by creating a Card class and a class containing the main() method, you have called it your War class, thats fine. I would forget the rest of your code for now. You already know the card object needs to have suit and a rank (because each individual card has a suit and a rank) so you need a field in your Card class to store each of these two attributes. Your Card Constructor method should create one card object, so it will need to be passed a suit and a rank so it can initialise those two fields. The other essential element of the class is a toString() method so that you can display the value of this card object in terms of suit and rank, eg "THREE of HEARTS". Your main() method at this point will just create and display card objects, ie create a card (eg four of diamonds), display it, create another one (eg king of hearts), display it, etc. Once you have your Card class working you can move on to develop a Deck class. A Deck class will store up to 52 cards and will need a constructor method to generate those cards and store them. And I would suggest it has a method such as takeACard() which returns one card object which it gets from the top of its deck and removes it from the deck. You could optionally write a display method to display the entire deck (for debugging/testing use). Having written the Deck class you can then test it from your main() method as you did previously for your Card class, create a deck, call takeACard(), print the card's value, take another card, display it, etc etc. And onwards you go from there. So far you have been given some great advice and pointers to help you on your way. If you do the exercises in the Java Tutorial you'll create a deck of cards. I feel a little embarrassed because I had to put learning Java on the back burner for a few weeks and I plan on picking up where I left off, but yeppers, a lot of community support and advise. Hopefully next week, my days and nights go back to normal. I clicked that link Nigel, but it was a 404 page. When I get back to it, I will read this thread again carefully and try to implement a lot of what was advised and post some more developments. Heres the link in plain text. Does encapsulation mean that variables by default need to be private?